You know that saying, "life imitates art"? Don't believe it? Walk into the average business office at 9am on a Monday morning. That's not an episode of The Walking Dead in there; it's just your coworkers. So before running for the zombie preparedness kit, try running to the nearest Starbucks instead. That being said, just because we're not expecting World War Z any time soon doesn't mean we can't apply practical lessons we have learned from watching our favourite scary movies to our daily lives. 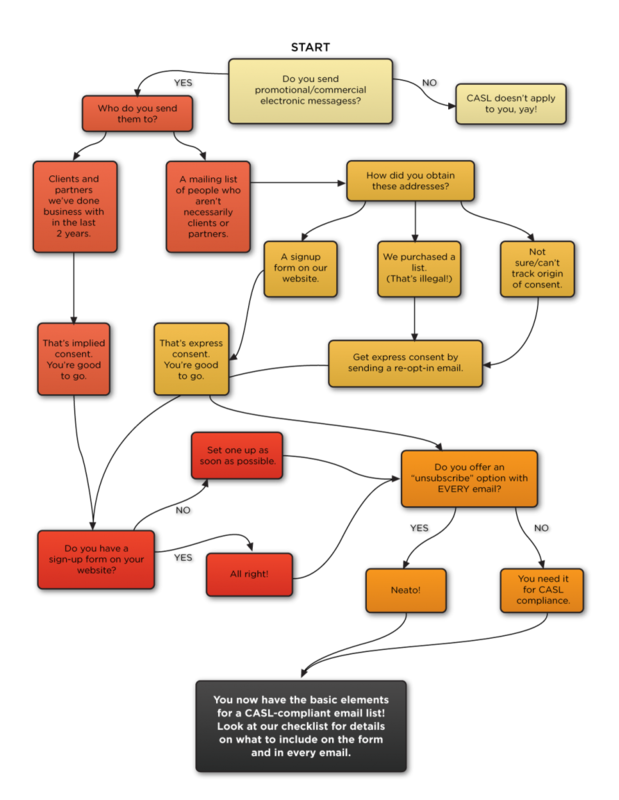 Do You Waste Everyone’s Time At Meetings? The meeting: the most dreaded work activity that generally wastes everybody’s time and can leave us more confused than clear on what has to be done. Why not rethink the way you lead your meetings so that everyone comes out of it with the information they need, and much faster than they thought? Scroll through our slideshare below to learn how. Share your other effective meetings tips with our readers below! 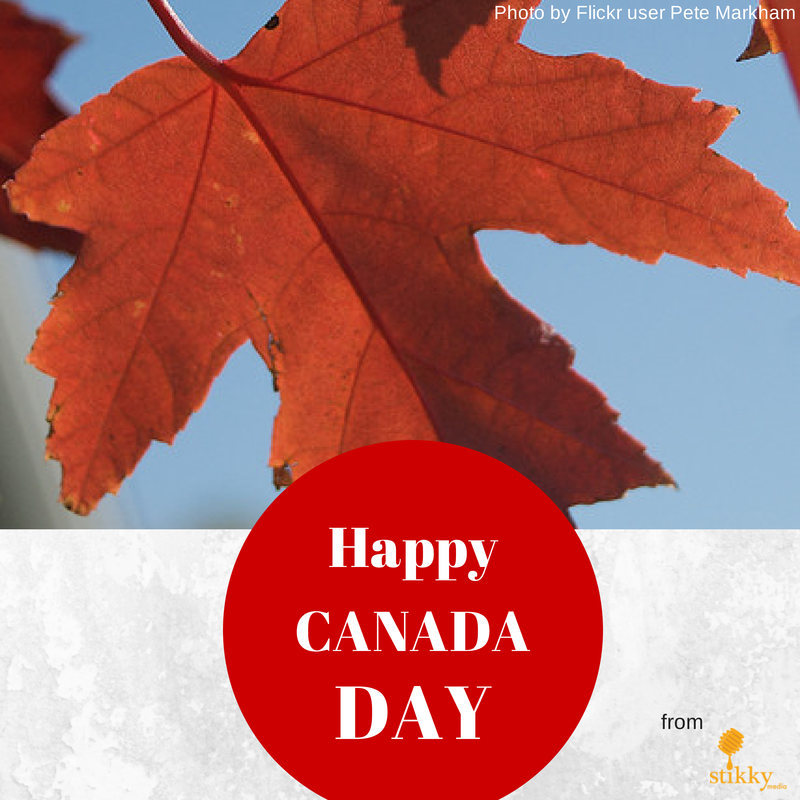 We're off for the day, but we hope you enjoy Canada Day! We'll be back tomorrow with some great content on our blog and social media channels. Enjoy the beautiful weather (if you're in Victoria) and enjoy the festivities! On July 1st, 2014, the federal government of Canada will formally launch the Canadian Anti-Spam Legislation (CASL). The CASL is a set of laws designed to protect Canadians from excessive spam, to determine how predefined online communications practices are to be allowed within Canada, to assign penalties to businesses and individuals who break CASL laws, and to enable Canadians to report spam on the CASL site itself. The laws formalized within this legislation will likely be beneficial to Canadians, as they do much to address a large number of shady practices that cause unpleasant problems for users of online services. Beneficial as this legislation could be, legitimate businesses that do any sort of marketing online could unwittingly break these new laws if they don't make sure that how they have done and will do their business online is legal. It's important that businesses take this legislative change seriously, for as reported in the Globe and Mail: “Responses to complaints will range from written warnings to court actions and financial penalties ranging up to $1 million per violation for individuals and up to $10 million for a company”. The government's Spam Reporting Center homepage explains that information submitted through its reporting system will be “used by the three enforcement agencies (the CRTC, Competition Bureau, and Office of the Privacy Commissioner) under CASL”. Pretty serious stuff! Elsewhere on the site, you can read that “It will also allow all three agencies to share information with the government of a foreign state if the information is relevant to an investigation or proceeding in respect of a contravention of the laws of a foreign state that is substantially similar to the conduct prohibited by this Canadian law”. Basically, not only can you be in trouble for breaking Canadian law, but the Canadian government can also share that information with other countries where the law is similar if that other foreign country receives a complaint against you. Again, serious stuff! We assume many of our readers won't know exactly what these things entail, and for this very reason we can't stress enough how important it is for all Canadian businesses who do marketing of any sort online to learn as much as they can about the CASL before it goes into effect on July 1st, 2014. If your business outsources its digital marketing efforts to agencies or other service providers, it would be prudent to investigate whether they are adhering to changes in Canadian law as well. Many practices that are common within online forms are no longer acceptable. For instance, prechecked 'I Consent' boxes are now illegal! 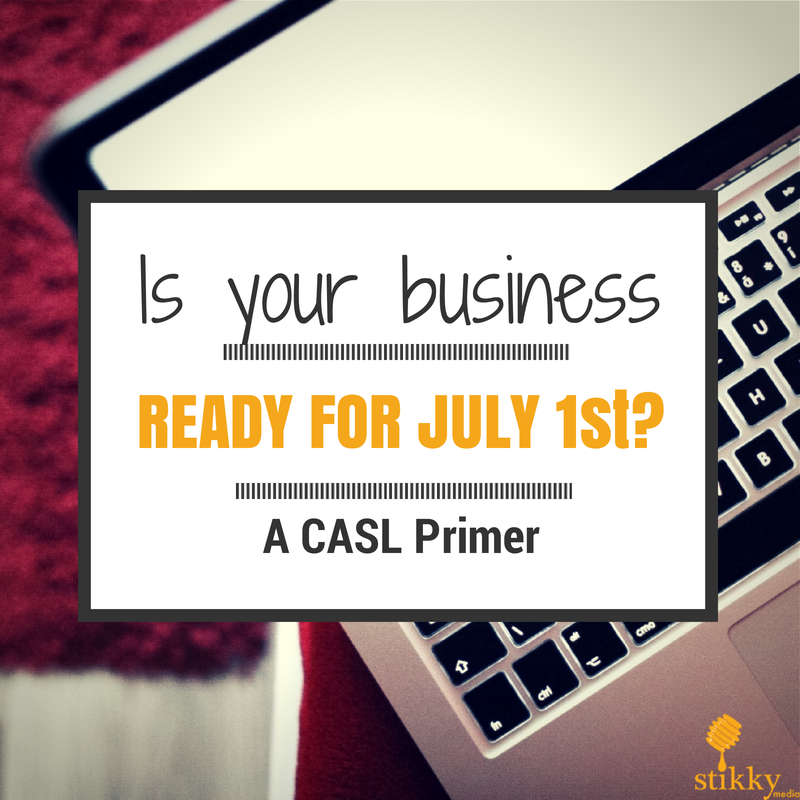 Below are some further resources where you can learn the details about CASL and what your business can do to be prepared for July 1st. The Government CASL Site is the official information source provided by the Canadian Government on its anti-spam legislation. The Canadian Radio-television and Telecommunications Commission (CRTC) is another official government source of further information. 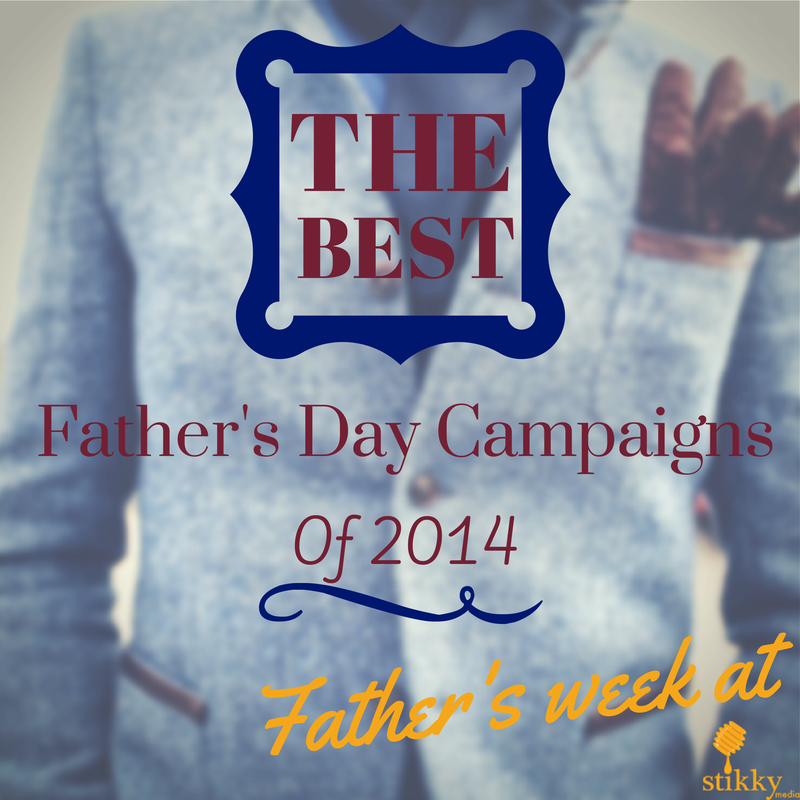 Father’s Week: What Did Your Father Teach You About Business? 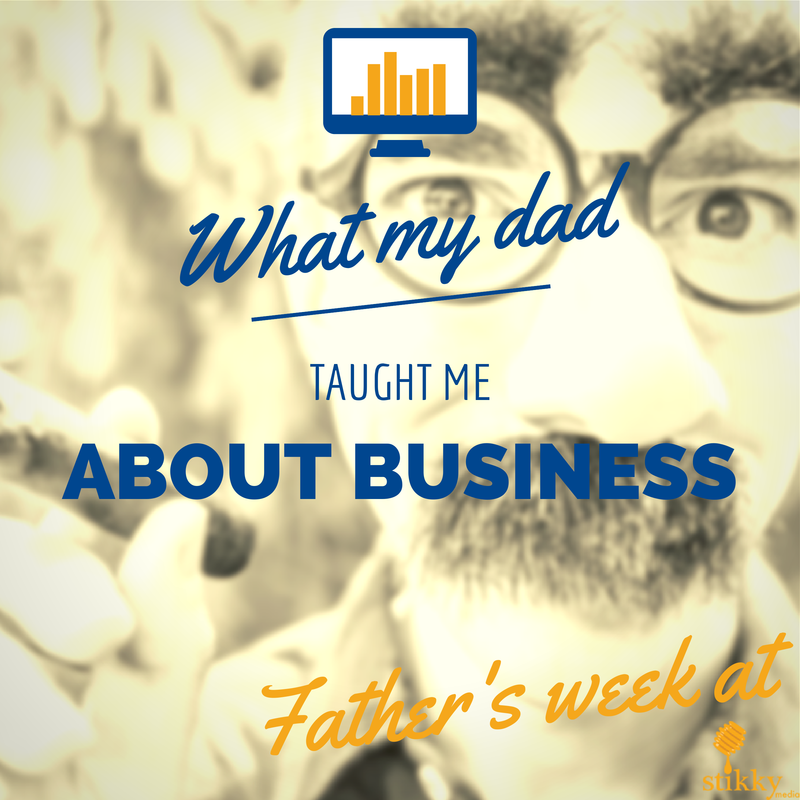 What did your dad teach you about business? Take pride in what you do regardless of what it pays. It speaks volumes to who you are as a person. My parents had 2 family businesses, while my dad also worked for the city full time. What did I learn? No matter how busy or crazy life can be, have fun and don't worry about anything. Live and love. Listen to what people say, and hear what is unsaid. My father taught me from an early age to always do my best, to exercise initiative, and to take responsibility for my actions. He also taught me that successful people learn to do what is necessary, whether it is easy for them to accomplish or not. @stikkymedia From my entrepreneur Dad, I learned to exude integrity, and that going above and beyond for a customer reaps huge rewards. Be generous with your expertise, as people are more likely to remember you if you gave them something valuable. What did your dad teach you about business? Share your father's business wisdom with us! 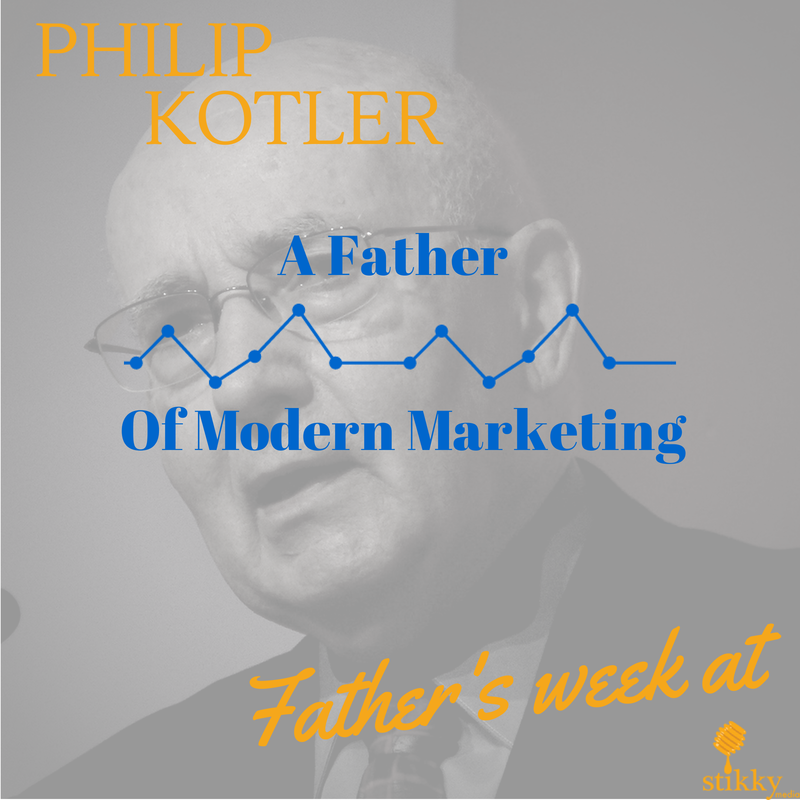 In keeping with our weeklong Father’s Day blogging theme, we want to share someone that many in the business world consider to be the father of modern marketing: Philip Kotler. Philip Kotler was born in Chicago in May of 1931, and attended college at DePaul University, before transferring to the University of Chicago. He would eventually complete his PhD in economics at MIT in 1956. Three of his teachers were Nobel Prize laureates in economics: Milton Friedman, Paul Samuelson and Robert Solow. Not long after, in 1962, Kotler started teaching at Northwestern University, where he still works today as the S.C. Johnson & Son Distinguished Professor of International Marketing at the Kellogg School of Management. What are Kotler’s ideas about marketing? Kotler has now published over 55 books, as well as over 150 articles throughout the marketing and management world. He’s had a lot to say about marketing, and still studies the subject today. He was among the first to articulate that demand was not only a function of price, but also of advertising, promotion, direct sales and other marketing and distribution channels. He believes that at the heart of marketing lies a single driving principle: the well-being of the consumer. Kotler also developed the idea that marketing applies not only to products and services, but also to non-profits and government services. According to him, marketing can (and should) be applied to causes, persons, ideas and places to be effective in attracting support and building influence. Personal branding through social media is a contemporary example of marketing applied to a person, for example. Of course, given his prolific writing life, his thoughts cannot be summarized in a few sentences. There’s a lot more to say, but unfortunately too little space to do so! What has Kotler been recognized for? Kotler’s marketing consulting company, Kotler Marketing Group, has worked with large companies such as Microsoft, American Express, Ford, Blue Cross, and many others. Without a doubt, Kotler’s influence can be recognized not just in a marketing standpoint, but throughout the business community worldwide. Kotler has also been recognized many times for his contributions to marketing. He was ranked multiple years in the top ten of Thinkers50: Top 50 Global Marketing Management Contributors and has topped several other lists of marketing and business leaders. He was inducted into the Marketing Hall of Fame just this past May, as well as inducted into the Management Hall of Fame last year. He holds 17 different honorary doctorates from institutions worldwide, and has received countless other marketing awards and distinctions. He was also immortalized on an Indonesian stamp in 2006. What has been Kotler’s influence on modern marketing? Kotler has left many ripples throughout the marketing world, starting with his acclaimed marketing textbook Marketing Management, which is still studied throughout the world. Marketing Management is now in its 14th edition and has been translated into over 25 languages. This textbook is still considered the golden standard for teaching future business leaders the analysis, planning and control of marketing activities.. The influence of Kotler can be seen all through the marketing world, from his work on management and marketing strategies to his focus on teaching new ways to think about marketing. Novice and veteran marketers can all find something to learn in the teachings and experiences of Philip Kotler, and that is why he is without a doubt, a father, pioneer and master of modern marketing. Today is Victoria Day in Canada, and the unofficial beginning of summer. Here in Victoria (haha), we've had pretty nice weather over the past few days, and we definitely look forward to the dry, sunny summers that delight so many tourists and locals. As I think of it, Victoria day must be one of the most effective marketing campaigns of all time. First set into law in Canada in 1845 (before Confederation) as a celebration of the Queen's birthday, the Parliament of Canada finally made it a national holiday in 1901, right after her death. Back then, Victoria was considered the "Mother of Conferedation". In 1904, Victoria Day was decreed throughout the British Empire. Interesting fact: Canada is the only country with an official holiday commemorating the 19th century monarch. Whether it's because we just like long weekends or because English Canada still cares about its imperial past (Quebec has a different holiday), we still remember the Queen more than a hundred years after her death. Year after year, we fill the streets and watch parades, often have our first patio parties of the year, and generally celebrate our British past. The name Victoria has not faded from our cultural consciousness in a century. If that's not effective marketing, I don't know what is! When Google announced back in April (2012) their acquisition of PostRank also meant its ultimate demise, I started a board on Quora asking what alternatives to PostRank exist for determining the relevancy of an RSS feed. Photoshop is one of the best photo editors around, but what if you don’t have it, or just want to crop a Facebook cover photo and get on with your life? 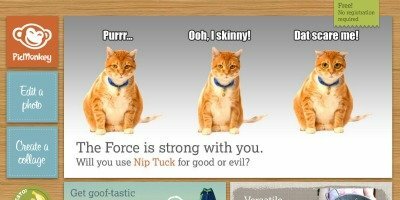 Created by two former Picnik engineers, PicMonkey is hands-down the most user-friendly, visually-appealing online photo editor out there. It’s great for simple photo manipulation, but is also expansive enough to do more advanced enhancements. Not Photoshop-style advanced, but just advanced enough to keep things lean and quick. 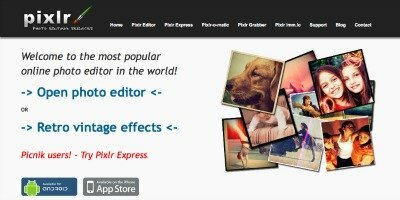 The wonderful world of Pixlr features a basic photo editor as well as a more advanced editor with Photoshop-esque tools. One day you can crop and resize a photo, and the next you can create an image from scratch using the massive feature set. 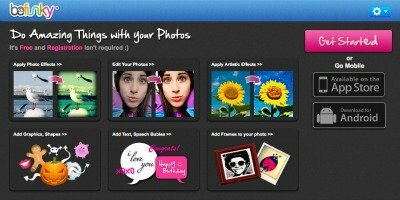 iPiccy is a frills-free photo editor that makes it super easy to get in, make your changes, and get out. But the best thing about iPiccy is that it has an excellent collage maker with tons of advanced shapes—a rare find in the world of free online photo editors. In case you’re wondering why Ribbet seems so familiar, it’s because it looks EXACTLY like Picnik. Ribbet isn’t affiliated with Picnik or Google in any way, but it’s built on the same platform as Picnik (Google released the open source software shortly before they closed Picnik) and retains many of the same features that you’ve come to know and love. As its name suggests, BeFunky is all about adding pizazz to your photos. A free account gives you access to almost 150 fun digital effects, from Warhol-style pop art to Instagrammy retro filters. BeFunky also has a basic photo editor that lets you do essential tweaks, like cropping, resizing and adding lipstick to your dog. Do you keep emails, files and text messages forever? Is your desktop littered with icons and shortcuts? Do you still have the first season of Lost? The bad news: You may be a digital hoarder. The good news: You’re not alone. Not only do online college courses help bring a person closer to earning one of the many available degrees, but some of them can teach important life lessons in the process. Here are some online college courses that offer more than just credits. Pigs steal eggs, birds seek revenge. This barnyard scandal sounds like a lame premise for a mobile game, but the explosive success of Angry Birds proves it’s exactly what the world needs. Lego (or LEGO, for all you trademark sticklers) has finally found the perfect mix of tech and toy. It’s called “Life of George,” and it’s a clever combo of classic brick-building and iPhone magic. Adults, prepare to be amused. Today I realized the internet actually comes from somewhere. That might sound silly, so think of it in Santa Claus terms. Until I was 9, I never put much thought into the concept of Santa Claus. He appeared when he was supposed to and did was he was supposed to. Then one day, I applied some logic to the Santa situation and realized my presents came from somewhere real. Ever wondered where some tech companies got their strange names? Well, wonder no more! This handy list will not only satisfy your curiosity, but also make you thankful for not having to send out a Twitch, Sky Peer to Peer your friends or find websites on David and Jerry’s Guide to the World Wide Web. As Hurricane Irene swirls towards the east coast, residents are snapping up bottled water, checking evacuation maps and hunkering down for the first hurricane to hit the United States since Ike slammed the Texas coast in 2008. This week’s earthquake is already old news, except for the weirdo in Brooklyn who got a “Survived the Quake” tattoo and now has a daily reminder of the high profile, yet low intensity, shaking. Having lived in Victoria for 10 years, I sometimes forget how beautiful this city really is. It’s not that I take it for granted, it’s just that it’s easy to get caught up in a daily routine that leaves little time for exploring beyond my local hangouts. And now that I live out in Langford, I only go downtown once a month if I’m lucky, and only when I need something specific, like coconut gelato or a decent haircut. It’s common knowledge that Facebook is the internet’s #1 time waster. Thanks to its unlimited opportunities for keeping (and creeping) in touch, the average user spends about seven hours a month on the site. That actually seems like a low estimate given the large number of people who insta-comment and became angry when you refuse to post photos of last night’s social gathering, but seven hours is still impressive. In the past couple of years, the popularity of lipdubs has skyrocketed, especially with university students. Last fall, UVic created an epic lipdub video inspired by another UVic, located in Spain. But UBC has taken lipdubs to a new level. Their 10 minute video has gone where no lipdub has gone before—underwater—and features a unicorn, scuba divers and the first successful Old Spice parody I’ve ever seen. Textese: Language Vandalism or a Gr8 Way 4 Ppl to Spk 2 Othr Ppl? Can U Rd Ths? Yes, but I choose not to. Textese, SMS speak, text speak—call it what you will, but each lazy abbreviation I come across makes my heart cry sad little tears. Abbreviations are tolerable in text messages because I’m very good at deleting and forgetting, but they’re impossible to avoid on the internet. Remember that time when cheating was cool? Oh wait. It never was. Remember that time when cheating was cool? Oh, wait. It never was. We recently stumbled across a competitor whose website is using our original content. And not just a few a few words here and there. We’re talking entire blocks of text and bulleted lists. Our content (and other non-original content–that’s all I’m saying about that) is placed throughout her website. But my favourite part is how she posted some social media statistics and accredited them to USA Today. Why give credit for one copy-and-paste job, but not the others? Stikky Media was out with our sister company, northStudio, Thursday April 29 to celebrate the launch of the new VIATeC website which northStudio built. Another cause for celebration was the launch of the new northStudio site, which also went live the same day. All in all, the event went off without a hitch and we had the opportunity to meet several fantastic people in our local tech community. This list of the Top 10 Movies Coming Soon to Theatres consists of movies that will hit theatres around the world between now and the end of 2009. Agree or disagree with this list of Top 10 Movies Coming Soon to Theatres? Post your thoughts in the comments section below.